I am always in awe of the work done for Catherine's Photojournal Collaborative; this book is going to be awesome -- I can just "feel" it. Catherine has posted the covers at her blog which is: Catherine Anderson's Blog. Please click on the "yellow" link and check it out. Meanwhile, I am currently posting my contribution below. 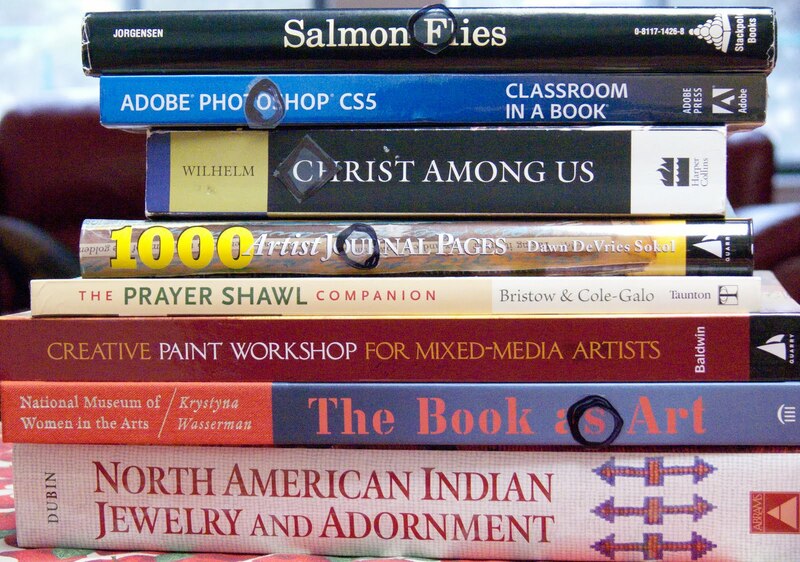 My intention word is "focus" and I used a stack of books relating to various areas of my life that I enjoy nurturing. Transparencies came in handy for the marker circles and then I took the photo. The tulips were given to me by a dear friend when Mother passed on and I wanted to post a serene photo for "healing" my heart. The two do not necessarily relate to each other except that photography is one of my passions. Here's hoping that when I return from Montana and taking Mother "home" to complete the last of her wishes that I can "focus" on doing more of this blog, too, and getting my art pieces categorized and up for view. It is something I have been wanting to do for a long time. Love and hugs to all. Have totally enjoyed snooping around your blog, Karen. 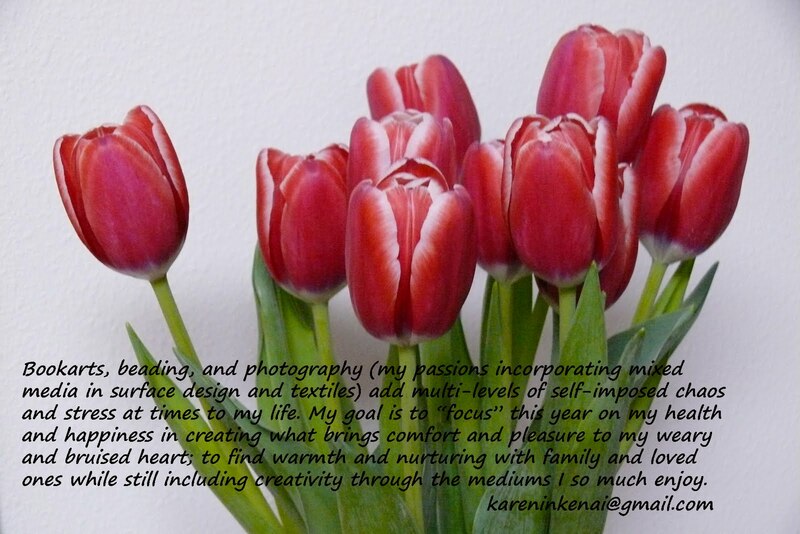 Wow, you are definitely focussing on achieving some of your goals here and doing so beautifully. Wonderful job so far and I look forward to all that I know will follow. You are such a talented lady!